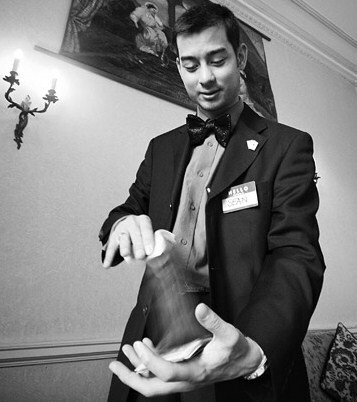 Dear All semi pro/ pro Magicians and Magic dealers on the Magic Café! I was wondering if you can advise further please!? I have been in contact with Elmwood magic/ Vanishinginc and Penguin etc etc and apparently they have stopped producing them and many other magic dealers therefore haven't been able to get a hold of them. Can't even find them on amazon or Ebay? I do like this effect and event though it does make sound it has done me really well and it's a fantastic opener as you approach a table! I have tried to use the stickers from Staples but it's not the same so was wondering if anyone would have one to spare, they have bought but not used or if there is someone who know's of some dealer who has this name badge trick 'YOUR NAME HERE' in stock in decent or new condition for sale and for how much!? I guess I could make one up myself - but if anyone has a YOUR NAME HERE to spare!? Without instructions even - I'll still buy it!? I look forward to hearing from some of you? PS - Attached a pic of me when I use to use this - but I am sure many will be well aware of this trick. Thanks Mark - will look into this one.